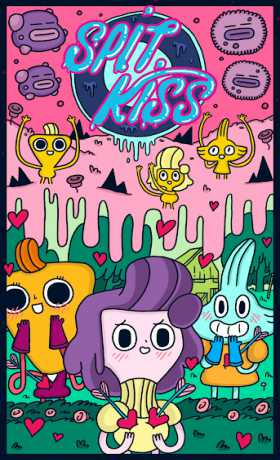 Spitkiss is a colorful and true one finger platformer that lets you enter into the lovely world of the Spitkissers, tiny creatures that communicate through body fluids and emojis. With an innovative swipe to jump mechanic, Spitkiss throws out virtual buttons and other tropes of classic platformers. 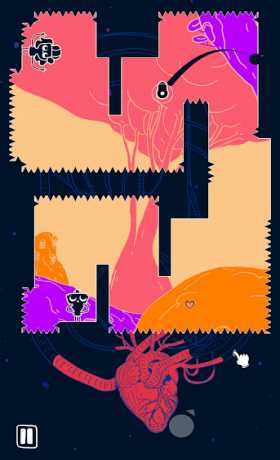 You will have to lovespit your way through organs by jumping, trickling, bouncing and bullet timing. Surgical precision and reflexes will be required to see the outcome of Ymer’s feelings ! – A trippy love story told through comics and emojis. – Organic progression and pee challenges. – Intuitive and simple swipe-to-jump controls.